Milo Weaver is an agent with the CIA. In the parlance of this series, he is a member of the Department of Tourism, a division inside the Operations branch of the Agency. The members of this group are known as Tourists and their job consists of travelling about their area of operations, be it Asia or Africa, or Europe or the Americas, ready to drop whatever they are doing to head to a trouble spot to take care of whatever problem has arisen. They change identities from time to time to avoid too much notice. They enter the countries they visit by normal means, identifying themselves as tourists on vacation. As told in the prologue to the first book, Weaver has been a Tourist for many years. The stress of the job and the lack of a normal life has taken its toll on the man, now in his late twenties or very early thirties. He pops too many pills to stay away and drinks far too much to get to sleep. His reactions are only just starting to be affected but his mental stability is suffering. Still very good at his job, if not actually nearing the legendary stage, he knows he is starting to lose it. An operation that goes bad almost costs him his life and provides the wakeup call that it is time to get out. 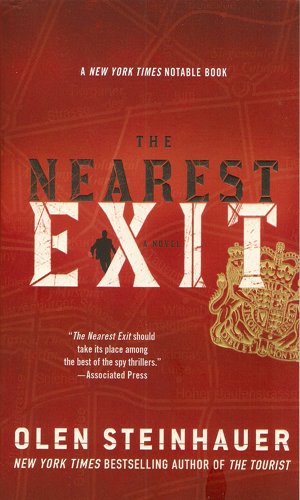 The start of the storyline that comprises the first book sees Weaver several years later, working in the Department headquarters in New York City, with a fairly normal life. He lives with a woman he dearly loves. Her daughter from a previous marriage considers him her second dad and the feeling is returned. He is happy. He is also getting antsy again and starts to take more and more assignments that get him out of the office. While he does not want to lose the good life he has, he seems to miss the excitement and the challenge. Events unfold that force him back into the field and changes his life yet again. 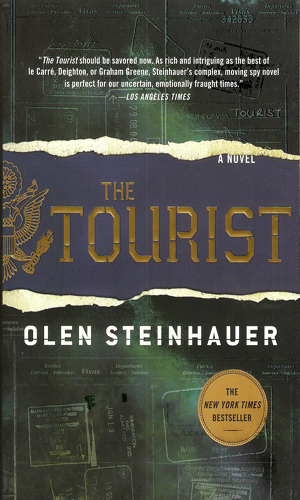 He quickly finds that he is rusty and just a fair amount out of shape but he is still the Tourist that survived more years than many and he begins to show those who come up against him just how good he can be. Along the way, however, he pays the price for his choices. Milo Weaver had given up being a "Tourist" for the Agency several years ago but when an old enemy gives himself up and then asks for help, Weaver finds himself back in the field. Weaver knows the best way to stay alive out there was to trust no one. Just out of prison on for alleged financial fraud, Weaver is offered a chance to redeem himself by going back into the field. The first job, though, involves killing a 15-year old girl and Weaver has to face hard decisions about his future, if he lives to have one. Milo Weaver's old boss at the CIA has gone on a mission himself using one of Weaver's old aliases, long since blown. Then the man disappears and Weaver, who had thought himself finally out of the business again, sees he is forced back for yet another job. It has always been a Kiss of Death for a book when someone says that "you have got to read this!" It is like an invisible forcefield gets put around the book keeping me from picking it up. That is what happened with this series. I was told by two different sources that it was vital I read these books. So I got them, because they were spy books and that is what I do. And I didn't read them, because that is how I sometimes react. DUMB ME! When I finally forced myself to read the first book, I absolutely devoured it. The writing is quick, informative, descriptive, and a joy to read. The characters come across as totally believable and understandable and real. The situations, though outside what I have encountered, seem completely plausible and reasonable. I liked the main character and didn't approve of his choices and couldn't put the book down in the hopes that he would change his mind and grimaced at how rotten the world can be and ... and ... well, you get the picture. I so apologize to Mr. Stenhauer for not reading these sooner. It was the fault of the Kiss, of course, not me, but still, I really enjoyed this series. He is an incredible author and very much earned the high grade I have given him. Fantastic series. Each one a gem. 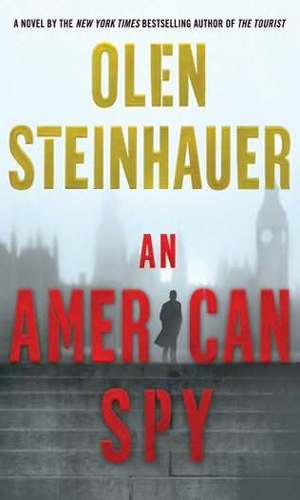 Just finished American Spy. Fantastic character development with a great plot. Looking forward to more. Great character, flawed, always conflicted, but a strong will. Loved these three books!